Anyone who has moved away from the place he or she grew up, understands how little things remind you of home and make you yearn to return. While gloomy overcast skies and a miserable drizzle conjure up memories of my Pacific Northwest home, they don't send me running for the first cross-country flight. But certain things, like a vibrant coffee culture and a rugged outdoorsiness, incite a deep longing for the region. Theo is one of those things. Tucked into the cozy Fremont neighborhood of Seattle, this chocolate factory is somewhat of a legend and favorite haunt of local (and not-so-local) chocolate lovers. I had the opportunity to exchange a few words with both Audrey (Sales and Marketing Manager) and Debra (VP of Sales and Marketing) about the company’s inner workings. What inspired the creation of Theo Chocolate? As a young man, Joe Whinney, Theo's CEO & Founder, stumbled upon cocoa growing communities on a sailing trip near Belize. He spent time with indigenous farmers, fell in love with the cacao tree and tropical rainforests, and began to question an industry that paid farmers poorly with little regard for the environment. After years pioneering the supply chain for organic cacao in the United States, and finally buoyed by a growing appreciation for organic food, Whinney open Theo Chocolate in 2006. 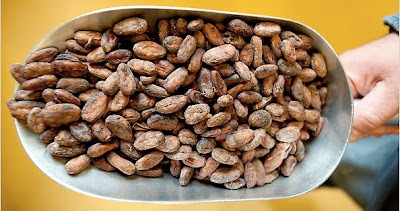 Why choose a bean-to-bar operation? Being a vertically integrated bean-to-bar operation means that Theo has complete control over product quality, farmer relationships, and ingredient sourcing. Additionally, by owning the whole process, Theo can respond quickly to market changes, and has the unique ability to educate consumers about the industry. All of Theo’s processes comply with our third-party organic and Fair for Life certifications. Being a "maker" distinguishes Theo from "melters", who buy chocolate and melt it down to form their products. Our cacao sources are based primarily on quality of the organic and Fair Trade certified cacao available in various cocoa growing regions. We are always open to testing bean samples from potential suppliers and are interested in working with material that meets our quality standards. The other most critical factor in our sourcing relates to our mission to build capacity with farmers, and elevate them in the supply chain. This requires a commitment on our part to working with farmer business groups or cooperatives that show potential to reach our quality standards, and to provide them with the necessary resources and education required to improve quality, increase yields and gain access to markets. Currently, we are working with growers in East Africa, in Tanzania and the Democratic Republic of Congo – both areas where cocoa farmers are very poor, marginalized, and at the mercy of the cocoa commodity market. How has Theo considered the long-term social, environmental, and/or economic viability of the venture? Theo operates on the belief that all life on the planet is interconnected, and this is demonstrated in our choices of and relationships with suppliers. To consider ourselves a success, social, environmental and economic components must be viable and healthy. We pay farmers fairly and work with them to improve their quality, which translates into a better, more consistent product for Theo. We value the planet through our ingredient, packaging, and sourcing efforts so it can nurture and sustain us. We share our practices via demos, factory tours, and events through which consumers taste, appreciate and value our chocolate, growing support for our brand via sales and goodwill. And ultimately, those consumers determine the viability of our venture! What is your interaction with the communities that grow and cure the cacao? What is the most rewarding aspect of working closely with a community? Our degree of interaction varies depending on the country. In countries where cacao is certified organic and Fair Trade and meets our quality standards, we have a straightforward relationship that involves contracting for bean supply at fair prices, providing feedback to farmers regarding quality, and ongoing communication regarding our needs and theirs. In other regions, our investment goes much deeper, and involves comprehensive partnerships with NGO’s to move famers along the continuum towards gaining their organic and fair trade certifications, and improving the viability of their crops. For example, we have been working with NGO partners in both Tanzania and the Congo to train local agronomists who then work with the farmers. We’ve seen dramatic improvements in quality in both countries and hope to develop finished products with Tanzanian and Congolese cacao in the coming year. This work is rewarding in many meaningful ways. Over time, our work with farmers equates to their ability to send their children to school, improve their living conditions, reduce their exposure to environmental hazards, dramatically increase both their incomes and their self-sufficiency. All of this also serves to protect critical habitat for life on our planet – what could be more rewarding than doing all of that while making and eating delicious chocolate!? Challenges are many and complex. As a small company, availability of quality organic cocoa and price fluctuations affect us greatly. We are also a creative company, yet we have needed a certain amount of structure as we grow. There are opportunities to take “shortcuts” and compromise our integrity at every turn, but the challenge is to maintain our steadfast commitment to our values. And the chocolate industry is extremely competitive, with a multitude of companies that do a fair bit of “green washing.” Telling our story effectively to differentiate our products at the retail shelf is an ongoing challenge. But the rewards far outweigh the challenges. We’ve already had a meaningful impact on the planet in our first 5 years, and we’ve made some amazingly delicious treats that have delighted many thousands of consumers. The future is very bright for us! The company will continue to grow at a rapid pace, deepen our commitment to and work with farmers, and make more and more extraordinary chocolate products. We are looking forward to expanding into additional retail locations and ultimately, would like to have a 2nd factory on the east coast where we can more easily educate consumers in the same way we do in Seattle. Ok, I have to know. Does the Jane Goodall dark chocolate bar follow the same recipe as the plain ol’ 70%? I think it tastes different, but that could be my infatuation with all things Jane colouring my perception! Great question! Our 70% bar, whether wrapped in our standard 70% label or the Jane Goodall packaging, is the same chocolate you know and love! The Jane bar gives consumers the option to support the longstanding conservation efforts of the JGI Institute and our hero, Jane Goodall. Our 70% blend is balanced, delicious, and a winner of several blind tasting competitions including the 2011 Good Food Award. Describe your favourite chocolate bar. Which of Theo’s bars best fit the bill? Oh boy – it really depends on the day! I am a huge fan of our dark chocolate. The ideal chocolate is made with three ingredients; organic cocoa beans, organic sugar and organic cocoa butter – and all of our dark chocolate meets that standard. When we came out with our spicy chile bar, I ate that non-stop for weeks; same with our dark chocolate cherry almond bar, and now it’s our dark chocolate with salted almonds. I swear, it’s a health food! Visitors to our factory always comment on the healthy and fit physical appearance of our team…the daily doses of antioxidants from Theo dark chocolate helps! I couldn’t agree more! A chocolate bar a day, keeps the doctor away, right? And if Theo plans to open a factory on the east coast (perhaps in DC…), I certainly will be getting my daily dose!